The right type of lighting is more important than you think. In addition to having a dramatic impact on the look and feel of your space, lighting also plays a role in your monthly energy bills. If you are considering upgrading your home lighting , consider LED lighting. 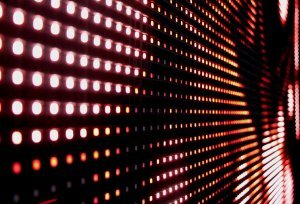 LEDs, or light-emitting diodes, are a form of solid-state lighting that is extremely efficient and long lasting. LEDs offer a number of benefits, especially when compared against traditional incandescent light bulbs. Here’s a closer look at the benefits of using LED lighting from a San Jose home lighting company. The life of incandescent bulbs is projected to be from 750 to 2,000 hours. Compare that with the average life of a high-power LED (35,000 to 50,000 hours) and it’s clear why so many homeowners in San Jose are making the switch. And while conventional lighting can go out suddenly and without warning, LEDs fade gradually over time, which allows you to replace drying light bulbs before you’re forced to fumble around in the dark. If you’ve ever sat directly underneath or close to an incandescent bulb, you know the intense heat conventional light bulbs can create. In other words, incandescent bulbs produce heat at the same time they produce light. LEDs, on the other hand, remain cool to the touch and don’t generate heat. This means LED lighting is ideal for small, confined spaces and for task lighting fixtures in the bathroom, bedroom, and kitchen. If you are an eco-conscious homeowner, you need to make the switch to LED lighting. Even if you aren’t concerned about the environment, installing LED lighting can help you reduce your home’s energy costs. Because of the differences in their design, LED lighting fixtures often use just 10-15% of the energy requires for the same lighting produced by incandescent bulbs. Talk to your San Jose lighting company to learn more about the potential energy savings offered by LEDs. It can be hard to find lighting fixtures in San Jose that match and accentuate the style of your home. Many homeowners wonder if it’s important to buy lighting fixtures with similar or complimentary finishes. For tips on buying attractive home lighting, watch this video clip. The house counselors at HGTV recommend sticking to two types of finishes in a given space. Brass usually pairs well with oil-rubbed bronze. Nickel also looks good with oil-rubbed bronze. Chrome and brass are attractive and especially common in Europe. When you have three different finishes, however, the house can begin to look crowded. If you want to implement several different types of light fixtures while maintaining a cohesive look, buy them in the same finish. Keeping the door hardware consistent throughout the house is another great way to keep the design cohesive. 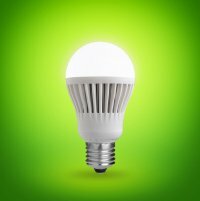 LEDs use only 20 to 25 percent of the energy used by incandescent bulbs, while lasting 25 times longer, according to the U.S. Department of Energy. If you want to add attractive, eco-friendly light to your home, Wright Lighting and Fireside has a great selection of LED lighting fixtures in San Jose . To learn more about how you can find bulbs for LED lights, read on. Your first step is to find an LED bulb that produces the desired amount of light, which is measured in lumens. This unit of measurement tells you the amount of light, or the brightness, that the human eye observes from the light. Any time you buy a modern light bulb, the outside of the package lists the number of lumens produced. Next, you will need to determine how many watts you need to get in an LED bulb. Watts are a measurement of electrical power. The wattage tells you how much energy the light fixture uses when the bulb is in place. Always compare the watts of a given lightbulb with the lumens it produces; this is an indication of the relative efficiency of the LED bulb. LEDs can typically produce the same number of lumens using 9 to 12 watts that a standard incandescent bulb would require 40 to 60 watts to produce. The final consideration is quality of light, which is its tone, color, and overall feel. Certain LED lights produce a pale, cold light, which some people do not like for home lighting. If you want to know more about the lighting options that our family-owned business has to offer you, visit our light lab—one of the only functional light labs in the San Francisco Bay Area. We have a great selection of LED lighting that mimics the warm light quality of conventional bulbs. If you like our product selection and had a positive experience with us at Wright Lighting & Fireside then please review us on our Google Plus page! Landscape lighting makes your yard more stylish and even enhances the safety of your home. To learn more about your options for landscape lighting in San Jose , visit Wright Lighting and Fireside. We have one of the only light labs in the San Francisco Bay Area, which includes outdoor lighting, bathroom lighting, and kitchen lighting. If you’re considering landscape lighting, read below for a short introduction. Landscape lighting is low voltage and very easy to work with. To install landscape lighting, you will need a transformer that reduces your 120-volt household electricity to 12 volts, which is safer and uses less energy. 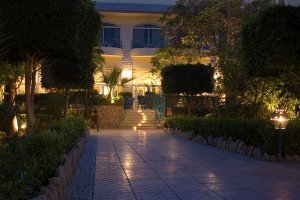 Contact a professional landscape lighting specialist for installation, as they will be familiar with how to arrange the lights to create the best visual effect. After your lights have been installed, they will need to be cleaned regularly to keep them free of debris, which can cause overheating. Find light fixtures made of copper, stainless steel, or brass for the best longevity. Lighting fixtures make your home brighter and more attractive. At Wright Lighting and Fireside, we offer a range of lighting fixtures in San Jose that will add style to your home. Learn more about the different types of lighting fixtures by reading this article. This type of modern lighting is mounted or suspended from the ceiling. Track lighting is essentially a linear housing that has multiple heads, which can be positioned anywhere along the track. The direction of the heads can be adjusted to provide lighting to specific areas in the room. Many homeowners prefer track lighting for accent lighting and task lighting. Recessed lighting fixtures are installed above the ceiling so that the opening can be flush with the ceiling. 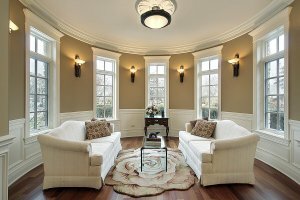 Recessed lighting requires six inches or more of clearance above the ceiling. Insulation of the lighting fixture is essential, as it ensures that condensation does not drip into the fixture. Recessed lighting projects a narrow band of light in one direction, making it ideal for accent, ambient, and task lighting. Under cabinet lighting is a type of recessed lighting that is mounted under kitchen cabinets. It is very popular for task lighting in the kitchen. Pendant light is suspended from the ceiling and broadcasts light downward, usually over a kitchen island, countertop, or table. A pendant enhances the décor of a room and can make for very attractive task and ambient lighting. Chandeliers are suspended from the ceiling. They direct their light upward, oftentimes over a table or an entryway. Chandeliers elevate the style of any room and provide attractive ambient lighting. Sconces are typically surface-mounted to the wall. They direct light downwards or upwards. Many homeowners buy covers or shades for their wall scones to add design appeal to a room. Wall scones are especially great for task lighting and ambient lighting.